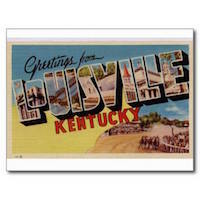 Louisville Restaurants Forum • View topic - Ngon Appétit! Not gonna lie, went here because of the drama over the reviews. I appreciate an owner that sticks up for their business. Some of her clap back is defensive but most is pretty spot on and what most of us wish we could say. My first experience with pho was in the Chinatown in Boston, and the noodles were wide, white, usually homemade. I thought I was crazy when over the years of moving away, I would always get the clear rice vermicelli noodles. I hate them. Ngon Appétit has the noodles I remember, which is apparently Northern Vietnamese; I guess there was a migration cluster in Boston of Northern Vietnamese. The broth was laced with heavy black pepper, which was brilliant. Banh mi was the BEST. Like, I can't say more. It just was. Curry soup was a subtle balance to our pho and banh mi, but it wasn't that interesting. It's good, and its proximity to Dirty Kroger makes it convenient in the neighborhood. Thanks for the review with lots of specifics. These are the folks that used to have 4 Sisters, right? Their Banh Mi is absolutely amazing. I'll have to get in there and try the pho after that review. Same owner, or at least some kind of same ownership. The banh mi was actually better than we had at Four Sisters, and that was the best one.